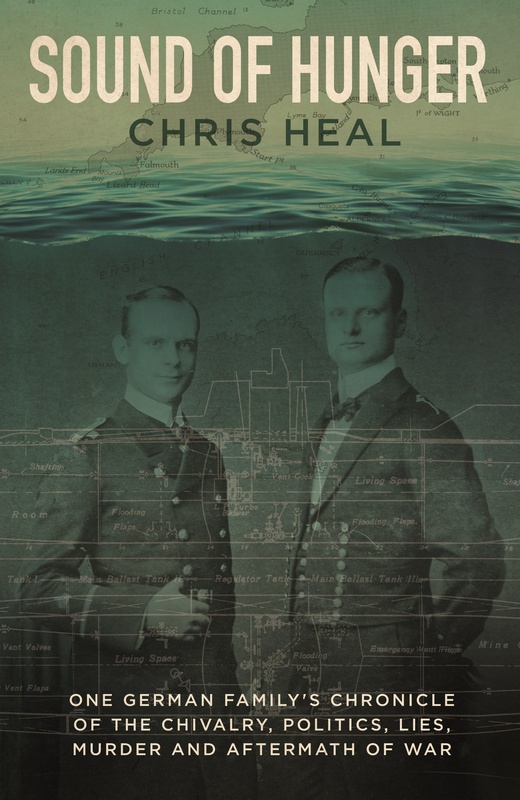 Our ‘Forgotten Wrecks of the First World War’ project volunteer, Chris Heal, writes about his research for the Trust and his new book Sound of Hunger. After finishing his Doctorate at Bristol University, Chris Heal began volunteering with the Maritime Archaeology Trust’s Forgotten Shipwrecks project in 2016. The start of this project would bring him down an unexpected path towards the publication of a book, Sound of Hunger. Chris was asked by the Maritime Archaeology Trust to research two different wrecks (SS Broomhill and SS Minerva). 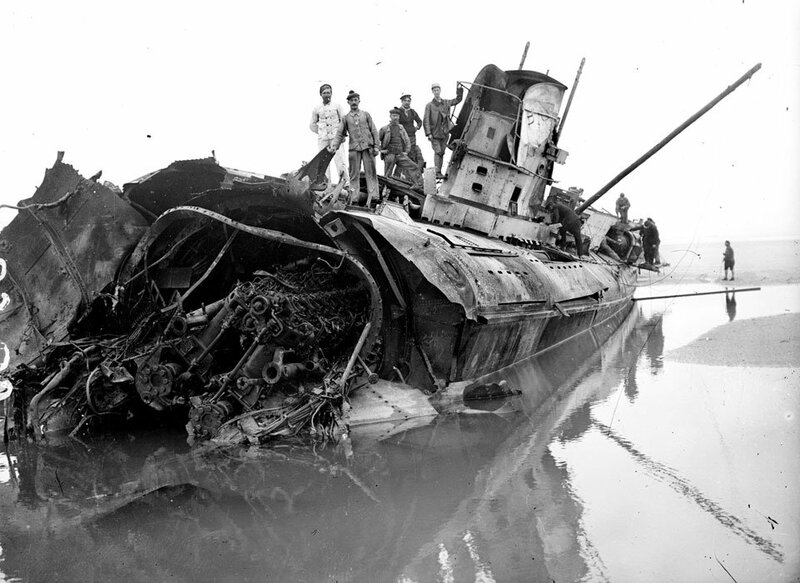 He found that the two wrecks were sunk on the same day by the same U-boat, UC 61, captain Georg Gerth. He decided to keep researching. The remains of UC 61. Every few months, as the sands shift, the remnants of UC 61 can still be found where it stranded in fog in July of 1917 on the beach at Wissant, a few miles south west of Calais near Cap Gris Nez. The Royal Navy declared that the intelligence gain from the wreck was minimal, particularly as the crew had blown up and set fire to the vessel before surrendering. What Chris found proved this propaganda wrong. The intelligence was substantial and led to the sinking of several more U-boats. Georg’s older brother, Erich, was also a U-boat captain who joined the Kaiserlichen Marine two years earlier than Georg. While Georg fought off the south coast of England and the west coast of France, Erich spent his short U-boat career in the Mediterranean. After the war, the two brothers lived different lives, Georg was a businessman who studied philosophy and enjoyed his privacy. Erich’s life was much faster and exciting. He followed Wilhelm Canaris, chief of the Nazi intelligence service in WWII, as a spy in South America; married a widowed countess; took part in the suppression of the Communist revolution in 1919, and was involved in the murder of Lenin’s protégés Karl Liebknecht and Rosa Luxemburg; covertly helped prepare the second U-boat fleet for the next war; developed close contacts from Paris with Europe’s Catholic hierarchy, even to the pope-to-be, Eugenio Pacelli, in an attempt to stop the Second World War. In the 1930s, the family fell foul of National Socialist laws to cleanse German public life of all those with Jewish connections. He was murdered by the Gestapo in front of his son in Rome in 1943. Georg died in 1970, broken after the British firebombed his home in the hospital town of Würzburg in 1944. Sound of Hunger was published in June this year by Unicorn Publishing to critical review. It is available from Unicorn and from many UK and US booksellers via Amazon.